1. Is it hard to install? No, it is easy to install. If you can install an inner tube and tire, you can install Tube Saddle®. It takes a little bit more time (like 2-4 minutes more), the final bead pull may be a little more difficult, but it prevents you from pinching your inner tube with your tire iron during installation or un-installation! 2. I don’t get flats, why would I use Tube Saddle®? Most riders who avoid getting pinch flats run unnecessarily high tire pressures (13-19psi) and/or with heavy duty inner tubes. With Tube Saddle®, you can run lower tire pressures (8-13psi) and avoid getting pinch flats. 3. Why would I want to run lower tire pressures? Running lower tire pressures allows your tires to become part of your suspension, as if you had your suspension re-valved. You get a larger tread footprint, delivering increased traction in acceleration and braking. You get less deflection, delivering improved handling. You reduce the stress on your tire tread, delivering longer tire life. You also get better traction when your tires are worn. The difference of running lower tire pressure is so significant that once you start using Tube Saddle® at lower tire pressures, you will never go back to your old tire pressures. 4. How heavy is Tube Saddle®? Tube Saddle ® is extremely light. A 21″ front Tube Saddle ® weighs approximately 5.2 ounces and an 18″ rear Tube Saddle® weights approximately 5.7 ounces. To put this in perspective, Tube Saddle® is 1/3 the weight of a standard duty inner tube, and is significantly lighter than heavy duty inner tubes. For example, a Ultra Heavy duty front inner tube weights a little over 3 lbs, and the rear weights just slightly shy of 4 lbs! 5. Can I run Ultra Heavy Duty Inner Tubes with Tube Saddle®? Yes, however in most applications it’s not necessary. Tube Saddle® works with any inner tube and tire but when a heavier tube is utilized, you start losing the weight advantage. Although a standard duty tube works well, we recommend a 3mil tube which is less susceptible to abrasive wear that occurs at the sidewall of the tire and the tube. 6. 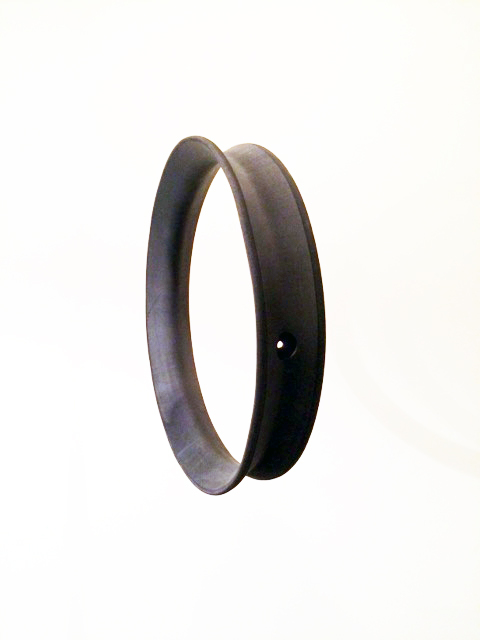 Which type Inner Tube should I use with Tube Saddle®? Standard or Heavy Duty? We have found standard duty tubes work just fine with Tube Saddle® for most applications, but we do recommend running a heavy duty 3mil tube. We have tested Tube Saddle® in enduros and desert races with soft-intermediate tires (Dunlop Geomax MX52), running heavy duty tubes at 9-11 psi without any problems. We have one rider/tester running Tube Saddle ® with Ultra Heavy duty inner tubes at 10 psi. Although he believes the ultra heavy duty tubes give him additional protection from puncture flats, we are not entirely convinced. Our view is if something can get through your tire, it can get through any inner tube. If puncture flats or tire tears are a concern, we suggest running Tube Saddle® with a regular heavy duty tube along with tire slime. Also, if you plan to run low tire pressure between 6 to 8 psi and you’re the type of rider who continuously slams your rims, we recommend the thicker duty inner tubes particularly if you’ve experienced cutting through your tires in sharp rock sections. If you run heavy duty or ultra heavy duty tubes with Tube Saddle®, follow the “Advanced easy way to install” video installation procedure. You can install Tube Saddle ® the “Conventional way” with heavy duty tubes, but it’s much more challenging. 7. What tire pressure should I run with Tube Saddle®? Generally for low speed single track riding, 8-11psi is a good place to start. For higher speed riding such as desert racing, 10-13 psi is a good starting point. Just what pressure you run depends substantially on the tires you run, but also on temperature, your weight, the weight of your bike, your riding style, and type of riding you do. Running too low a tire pressure (6-8psi) in high speed applications may cause, over time, the cords in the tire to seperate from the core of the tire. These seperated cords can cause tube failure-entirely different than a pinch flat. If you want to run such low pressure in high speed applications you definitely want to run heavy duty tubes. That said, a general rule is for heavy stiff walled tires, run lower pressures to get the right feel from your tire. For soft walled tires, run somewhat higher tire pressures to get the right feel. We recommend selecting a tire pressure based on how often you may bottom out your front rim. Say for a 70 or 80 mile off-road race, you want a tire pressure where you may bottom out your front rim say 3 to 6 times. 8 to 13 psi tends to be a good starting point. 8. 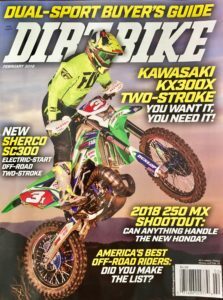 Can I run Tube Saddle® with a Trials Tire? Yes, Tube Saddle® works extremely well with trials tires. We had one tester who rode in Colorado numerous days with this setup between 6 and 8 psi without problems, and numerous customers are now running Tube Saddle® with trials tires without problems. 9. Will Tube Saddle® break down from heat in high speed applications? No, Tube Saddle® will not break down in high speed applications. This is because it’s located in the wheel assembly where it is isolated from heat buildup. However, running knobby tires on asphalt at high speed with low tire pressures can cause tube/tire meltdown failure. This happened to one of our test riders running 8psi on asphalt for 400 miles in 100+ degree temperatures. He noted there was no damage at all to Tube Saddle®, but the extreme heat and friction caused tube failure. Therefore, we recommend that if you plan on riding at high speeds over long distances on asphalt roads, select appropriate tires for highway use and run higher tire pressure. 10. How long will Tube Saddle® last? Testing continues as the goal is to last through 3 sets of tire changes. With early prototypes using a softer density material, Tube Saddle® has achieved 1300 miles in the Nevada desert without incident. Our production, higher density material, has gone 1500 miles with one testor, mostly desert riding, and is planning to continue using Tube Saddle® with a new set of tires for additional miles. Another testor has recently achieved 2500 miles on a set. We are continuing testing in this area. 11. How does Tube Saddle® wear, and when do I know it’s time to replace it? Within the first 100 miles, Tube Saddle® “settles in” by conforming to the rim, the rim lock, and the bead of the tire. 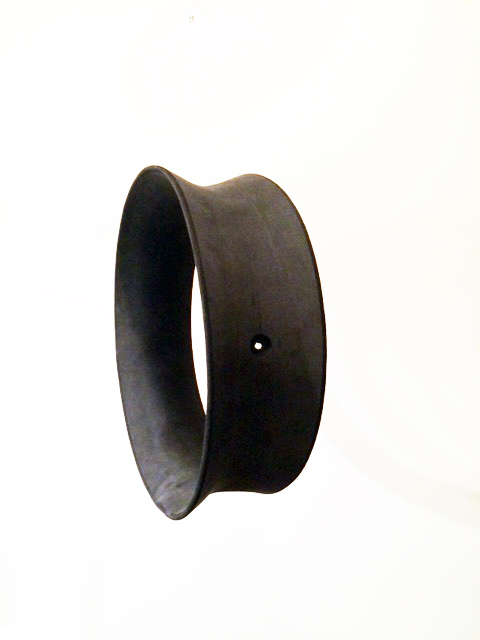 Over time the thickness of Tube Saddle® decreases substantially around the bead of the tire. 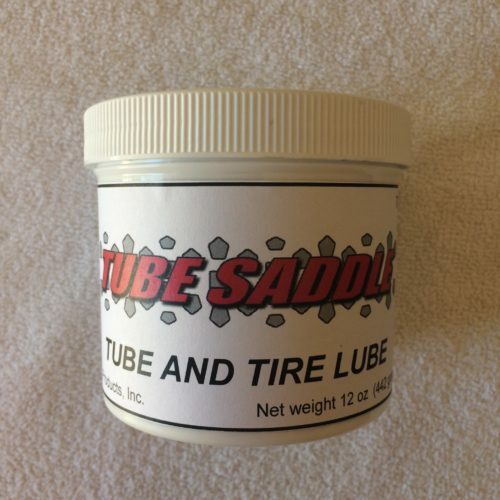 As long as it is at least 1-1/2 times thicker than the inner tube at this location, Tube Saddle® is still good. 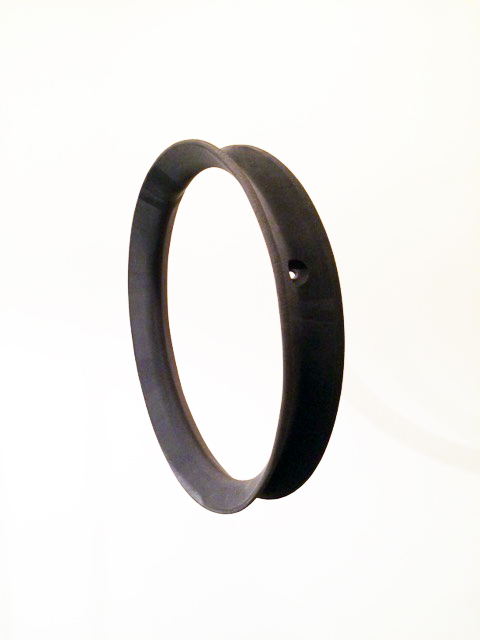 Once it is around the thickness of the inner tube at a location about ½ inch in from it is ready to replace. 12. Does Tube Saddle® provide flat proof protection? No, Tube Saddle® does not provide flat proof protection. Tire cord seperation inside the tire can lead to flats, but only at high speed applications with too low a tire pressure at long distances. Tube Saddle® does not provide puncture flat protection, but puncture flats are rare. If puncture flats are a concern, we recommend running tire slime (or equivalent) in the tube. Solid foam inserts can provide puncture flat protection, but at a significant financial cost coupled with installation headaches and other drawbacks. Tire balls can also provide such protection, but again at significant financial cost, installation headaches and other drawbacks. Tube Saddle® is intended to be a cost effective, easy solution to solving pinch flats and allow you to run lower tire pressure to enjoy your riding and racing experience.